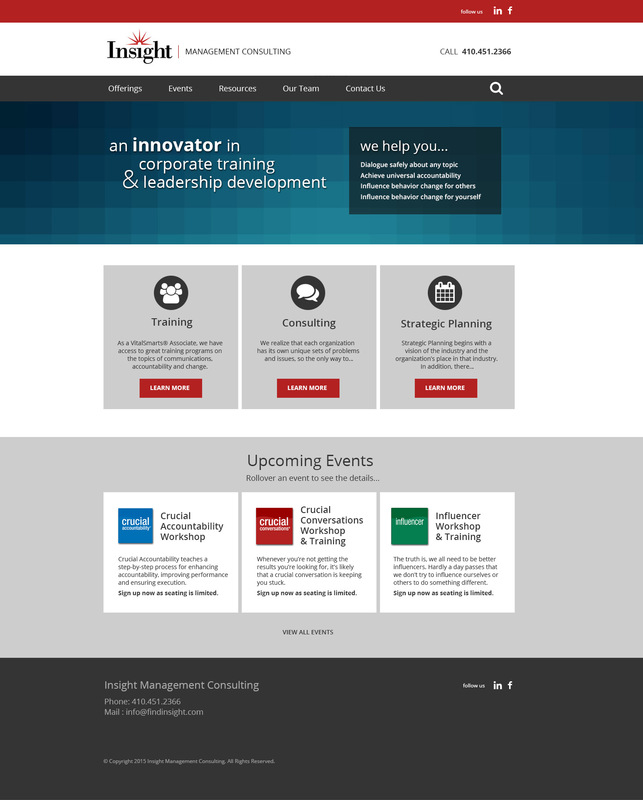 Insight Management Consulting provides training, consulting, and coaching to help organizations improve current practices by eliminating barriers to success, whatever they may be. Insight has been partnering with businesses across the US to better achieve their missions for nine years now. 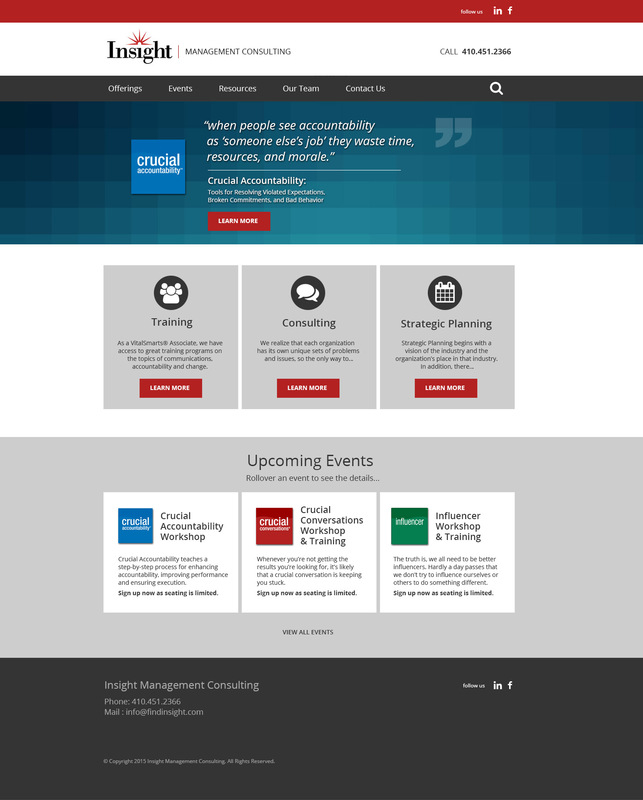 The NextLOGiK team updated the WordPress platform and themes, including additional security features, and redesigned the home page with relevant brand positioning and messaging. The site was populated with a combination of new and existing content along with fresh imagery to help make the overall presentation more engaging than before. Finally, the site was tested for performance, mobile responsiveness, and form functionality then pushed to the live server environment.